Don't scratch yourself! No calling ladies "ladies"! 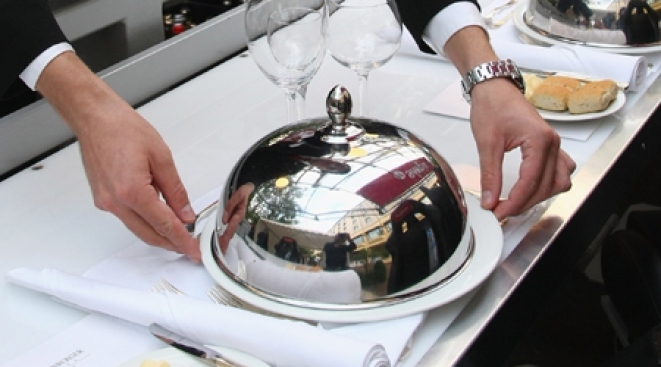 Think you're ready for a job at Le Bernardin? Not until you can memorize this looong list of musts issued to new staffers. Eric Ripert's new cookbook includes his restaurant Le Bernardin's 129 Cardinal Sins of table service. Oh, goody. Grub Street has a sneak peek at Eric Ripert's book On the Line (a "snapshot of how Le Bernardin works on a meal-to-meal basis," according to the book's intro) which includes a list of "Cardinal Sins" that maitre d' Ben Chekroun issues to all new employees -- 129 absolute no-nos that will no doubt get you fired, if not ganached and salt-crusted and run right out of town, where you can end your sad little days manning the ice cream bar at Friendly's. It's a singular document, awesome for many reasons, not least because of the liberal use of exclamation points ("Coffee in the saucer!!!!!!!!!!!!!!!!!!!" -- that's 19, we counted), but mostly because it's perfect, a wildly comprehensive compendium of exactly the kind of behavior you never, ever witness at restaurants of serious quality. Before you hop to the full list, we've pulled out some highlights for you -- and before you read those, please consider a 25 percent tip for your server next time.